Read Jann’s illuminating commentary on the video by clicking here. Thank you, Jann, for this concise and cogent article. I’d like to add one more reason for valuing inclusive language: when we use the male term GOD along with the female pronoun SHE, we are including the people among us who are transgender: who feel they are both female and male inwardly, or who were born intersexual, or who have crossed over from one gender to the other in order to match their inner understanding of their gender identity. The Adam (Earth Creature) of Genesis 1-3 was both male and female until the female was drawn from his side; and since Genesis proclaims both female and male to be made in the image of God, inevitably that image is inclusive of both female and male. Transgender people are often attacked, abused, and even murdered in our society; so including them as sacred beings along with women and men is important to our Christian witness. My books OMNIGENDER and TRANSGENDER JOURNEYS (the latter with Vanessa Sheridan) will provide further details on this topic. Thank you, Virginia, for your comment. Yes, calling God “She” includes transgender people and people of all genders. Thank you for mentioning your outstanding books TRANSGENDER JOURNEYS and OMNIGENDER. I have learned so much from them, from your book THE DIVINE FEMININE: THE BIBLICAL IMAGERY OF GOD AS FEMALE, and from conversations with you. Thank you for such a great explanation of the importance of inclusive language. I am a white male raised in conservative fundamental tradition. My image of God has been so male oriented as a result of the language used to refer to God my 52 years of life. I now realize how wrong that has been, and I am excited with the changes that have been taking place in my heart. Not only is my relationship with God expanding as I see Her from a fuller perspective, but my relationship with my wife is richer because my feeling of male superiority are melting away. I am embarrassed now when I think about my flawed understanding of God. A true perspective of the Divine from a feminist perspective has enormous benefit for both women and men. I have a huge sense of liberation and freedom when I don’t hang onto the baggage of my traditions. Seeing God from a different perspective makes me realize how I have been a participant in discrimination to women and others who have been marginalized in the church and society. I pray that God in Her wisdom will guide me as I alter attitudes and actions. Sometimes I feel like I am doing something “naughty” when I refer to God in the feminine. Many years of indoctrination is difficult to reverse. However, I am not giving up. I love how my heart is softened as I embrace Her in this new language . Thank you for your work and don’t give up on your vision to make these important changes in the church and society. On more thing – can a man be a feminist? If yes, I am a epic convert. Thank you, Dan, for your comment that gives me great encouragement to keep writing, teaching, and preaching on expanding our images of the Divine. My heart is filled with joy that my writing has made a difference in your relationship to God, to your wife, and to others. I join your prayer that God will continue to give you Her wisdom on your expanding spiritual journey. To answer your question, yes indeed a man can be a feminist! Although “feminist” is a modern term, I often refer to Jesus as a “feminist” in light of his feminist actions and words. So you can be and are a feminist. 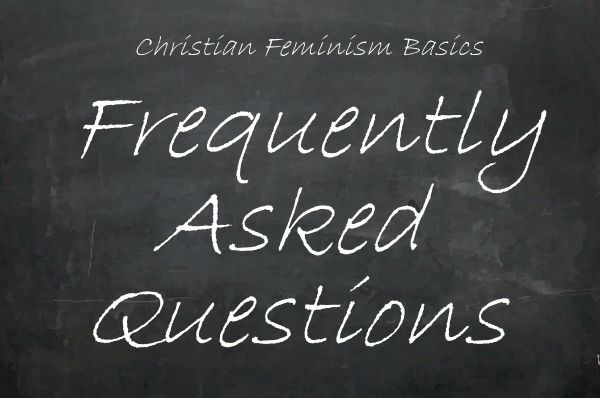 Welcome to EEWC-Christian Feminism Today! I’ve been reading material from EEWC for a number of years and often point others in your direction, and just thought that perhaps I should add a note to say “thank-you” for another good article. Yes, language is important and I stress this often in my work with women who have experienced domestic violence and abuse. Women of faith who have experienced spousal abuse, have difficulty accessing their faith as a resource for healing, especially when their image of God is strictly male. I have to admit that it takes practice to change our language about God. For those of us entrenched in male language for Deity, it even feels weird on our tongues. 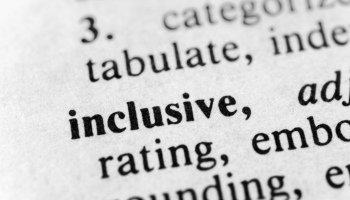 I have yet to attend a church where inclusive language is even on the radar, but thanks to organizations such as yours, the discussion will continue. As a result many more hearts will be softened, and many more will experience the freedom and liberation that comes with addressing God as Sophia, Divine Wisdom or Embracing Spirit.